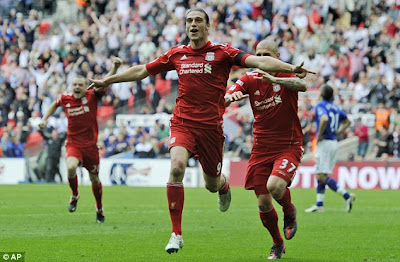 Liverpool ensured that they won their 88th merseyside derby encounter with record signing Andy Carroll going all the way to justifying his huge price with the goal which put his side into their first FA Cup final since 2006 and ended the dreams of Everton in the all-Merseyside encounter at Wembley. The £35million striker had endured a testing afternoon, heading one straightforward chance wide, but came up with the winner four minutes from time at Wembley just as he did at Ewood park against Blackburn Rovers days ago. Everton had earlier gone ahead following defensive blunder which gave Nikica Jelavic a simple chance to score in the first half which they totally dominated. 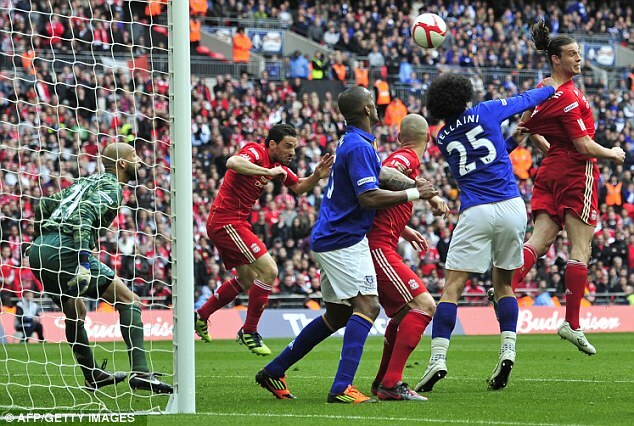 Luis Suarez levelled matters in the second half following another defensive howler. And then Carroll flicked in a trademark header that took Liverpool to the finals since 2006. It could be argued the failure of Carroll to score consistently partly contributed to the removal of director of football Damien Comolli by American owners Fenway Sports Group in a ruthless move on Thursday while Manager Kenny Dalglish has steadfastly defended his big striker despite all the criticism. Both the Reds boss and the 23-year-old forward will be hoping such a significant goal in Liverpool's season, with hopes of Champions League qualification been ended by a woeful run of results, will be a turning point for both of them. 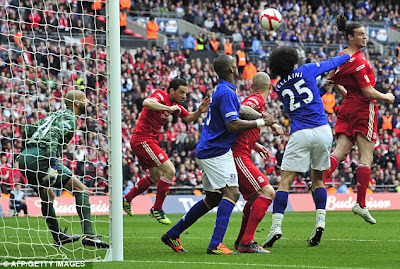 Having already won the Carling Cup in February Liverpool remain on course for a cup double, which has only been achieved three times previously and once by themselves.